China’s Recycled PE market pattern is changing. The enterprises which fail to conform to the local industrial layout plan; fail to stabilize the discharge standards; fail to handle relevant approval procedures; with small scale and backward technology and etc. were banned through government and environmental protection supervision. Market pattern has shifted from concentration to fragmentation. The recycled PE prices surged to the historical highs, and the market supply remained tight. How will the recycled PE be produced in the future? How will the capacity of recycled PE change? Can Shandong and Hebei markets continue to lead the market? How will the imports of recycled PE change? In the future, whether the recycled PE can be allowed to import? How will China’s recycled PE industry change if the imports are banned. Will China’s demand volume for recycled PE shrink? Will the plastic particle producers transfer the capacity to abroad to aggravate the competition with Chinese-made materials? How will the apparent consumption volume change? Sublime China Information focused on data mining and analysis over 13 years. 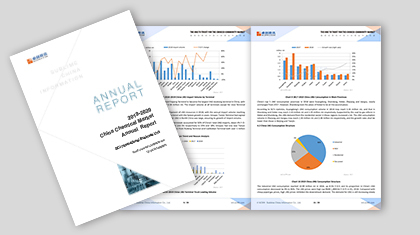 In 2017–2018 China Recycled PE Market Annual Report, analysts will interpret the changes in 2017 recycled PE market in different perspectives and make professional and accurate analysis of the future development. So you can have a better understanding of future development and insights to avoid market risks. 1. Showing the international influence of China's market changes through the analysis of global and China’s PE supply and demand pattern. 2. Showing the changing trend of PE supply pattern in China based on the capacity, output and operating rates at PE producers in the past five years. 3. Analyzing the PE import pattern from the aspects of origin, customs and trade mode. 4. Keeping track of inventory data of upstream, midstream and downstream markets, and clarifying the driving factors for market price fluctuation. 5. Analyzing the cost and profit status of each production path under diversification of feedstock. Guiding the direction of feedstock selection for new entrants. 6. Analyzing the operating index of PE downstream plastic processing enterprises and looking for the trend of industry development change under high environmental protection standards. 7. How will the virgin PE and recycled PE compete with each other in the future after the prohibition of importing waste plastics is implemented?